What Home Projects Should You Do Yourself? 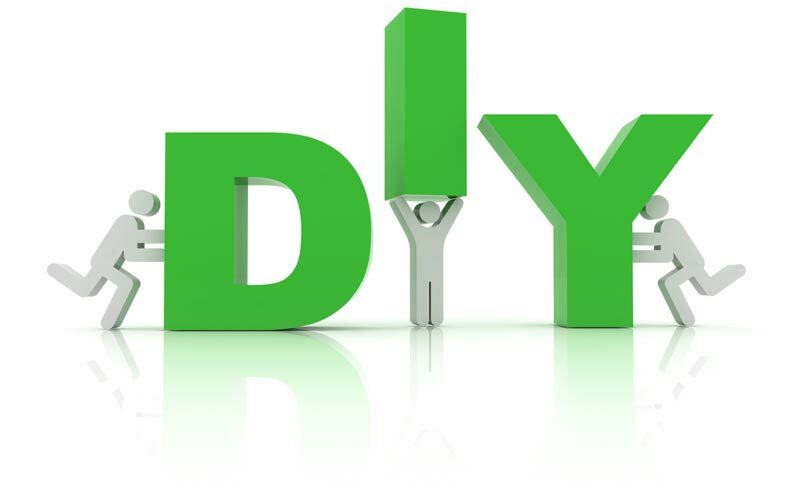 Doing maintenance jobs yourself can be a smart way to save money, but choose the right DIY projects or you’ll end up paying dearly. Why pay someone to do something you can do yourself? Because sometimes doing it yourself costs more than it saves. More than 100,000 people injure themselves each year doing home improvement jobs. So add medical bills to your DIY budget, and you ending up spending the same, or more, than if you hired a pro. We’re not suggesting that you call a plumber each time you need to plunge a toilet. But think twice about what DIY might really cost you. Here’s how to decide. Seasonal home maintenance is ideal work for the weekend warrior because you can tackle these jobs when your schedule permits. Because these are routine maintenance projects, your savings will add up. Mowing your own lawn, for example, saves $55 to $65 a week for a half-acre lawn. The bigger the lot, the bigger the savings: with two acres, you’ll pocket around $150 per week. When it costs: Unless you have skill and experience on your side, stay off any ladder taller than six feet; according to the U.S. Consumer Product Safety Commission, emergency rooms are filled with people with ladder injuries. The same goes for operating power saws or attempting any major electrical work—it’s simply too risky if you don’t have the experience. If you’re more comfortable operating an iPhone than a circular saw, you could act as your own general contractor on some home improvement projects. That means you hire, schedule, and pay the carpenters, plumbers, and other tradesmen yourself. You’ll save 10% to 20% of the job cost, which is the contractor’s typical fee. When it pays: If it’s a small job that requires only two or three subcontractors, and you have good relationships with top-quality professionals in those fields, consider DIY contracting. When it costs: When you don’t have an established network of reliable workers, time to supervise, construction experience to spot problems, and the skill to negotiate disputes between subcontractors, your project and budget are at risk. Contribute your own labor to big jobs being handled by a professional crew and cut hundreds, even thousands, off construction costs. For instance, tear out kitchen cabinets and appliances before the contractor gets started, and you might knock $800 off the cost of your remodel. Make sure you negotiate cost savings with your contractor before pitching in. When it pays: Jobs that are labor-intensive but require relatively little skill make perfect sweat equity jobs. Perform minor interior demolition, such as pulling up old flooring, daily job site cleanup, product assembly, and simple landscaping. When it costs: If you get in the crew’s way, you may slow them down far more than you help. Make your contributions when the workers aren’t around; mornings before they arrive, or nights and weekends after they’ve left. Unlike the early phases of a construction job–which require skilled labor to frame walls, install plumbing pipes, and run wires–many finishing touches are comparatively simple and DIY-friendly. If you paint a basement remodel yourself, for instance, you can save up to $1,800. When it pays: If you have skill, patience, or an experienced friend to teach you, setting tile, laying flooring, painting walls, and installing trim are good DIY jobs. When it costs: The downside to attempting your own finish work is that the results are very visible. Hammer dents in woodwork, or sander ruts in hardwood floors will annoy you every time you see them. So unless you have a sure eye and a steady hand, don’t perform the tasks that only a skilled tradesperson will get right. Do you work from home? Buy your next home with your office in mind! If you work from home, and it is time to move to your next home, there are some factors you should consider carefully before making your decision. Make sure that your high-tech needs can be met. Have a qualified electrician inspect the wiring of the house to see if the system can handle the extra power load that your home office requires. Older homes may need significant upgrades to handle the extra power, while newer homes are built with more energy-efficient systems to handle the additional power along with heating/air conditioning requirements. If you use cable, DSL or satellite internet access, check with your local service provider to see if access is available in your new neighborhood. Shop around for your telephone provider—in some cases, business service bundles may be more cost effective than regular residential service. Designate where your office space will be. Determine the amount of space you will need to accommodate your work style and space. In many cases a spare bedroom or living room space can be used, if a formal den option is not available. If your work requires heavy telephone usage or just heads-down concentration, you may want to consider utilizing a room with a door. Doors can be closed to reduce interruptions from other family and household noises. Plan your office blueprint to include all required furniture, bookcases, computers, fax, and printers. Make sure to allow for filing and storage space for files and extra office supplies. Lighting is critical for computer or assembly work, so make sure to allow for direct sunlight along with any specific task lighting that may be necessary. Select flooring options that will allow you to work comfortably—you may wish to go with hardwood or laminate flooring to allow for your chair to move smoothly across the floor. Install enough phone lines to cover your home, business and fax machines needs. Is the office easily accessible? If you will expect regular package deliveries, make sure that your designated office is easily accessible to the front door of the home. This is also necessary if you will need to meet clients or visitors in your office and would like to ensure a professional appearance for your business. Find out about local business requirements. Some cities have zoning restrictions and guidelines for work/living spaces along with tax implications. Make sure to check with your local government to determine if special restrictions exist. Are you ready to find a home that could allow you to work from home? Or…do you need more room in the current home you own? Give me a call – lets get you started! It may be two to three more years before prospective home buyers get a break from escalating property prices and tight supply, according to experts speaking at a National Association of Real Estate Editors conference Wednesday. That is the time frame for institutional speculators, who currently are dominating the market, to pull out of their investments and still make a profit, explained Bill Rayburn of the mortgage technology firm FNC. The market also will need to see the return of individual home buyers in order to normalize, he said, which will be propelled by employment gains. Search for homes now…It’s FREE! Wells Fargo and Citigroup have temporarily halted foreclosure sales in several states, taking precautions after a federal regulator released new guidance on minimum standards for foreclosure sales. The Office of the Comptroller of the Currency (OCC) recently released the new standards. The OCC’s directive mostly consists of 13 questions banks need to ask themselves before selling a home in foreclosure, such as whether the borrower is protected from foreclosure by bankruptcy or if the borrower is in an active loan modification plan. JPMorgan had also mostly stopped its foreclosure sales after the OCC’s standards were released, but has since resumed sales. Wells Fargo, the nation’s largest mortgage originator, has seen a dramatic drop in foreclosure sales while significantly decreasing the number of sales it’s processing. For example, foreclosure sales by Wells Fargo in California, Nevada, Arizona, Oregon, and Washington plummeted from 349 a day in April to less than 10 a day, according to Foreclosure Radar, a real estate monitoring firm based in California. “Wells Fargo has temporarily postponed certain foreclosure sales while we study the revised guidance from the OCC,” a Wells Fargo spokeswoman confirmed for American Banker. Citibank officials also confirmed the reason behind their halt in sales was to carefully review the new guidance. Are you facing foreclosure? Contact me for a free consultation!